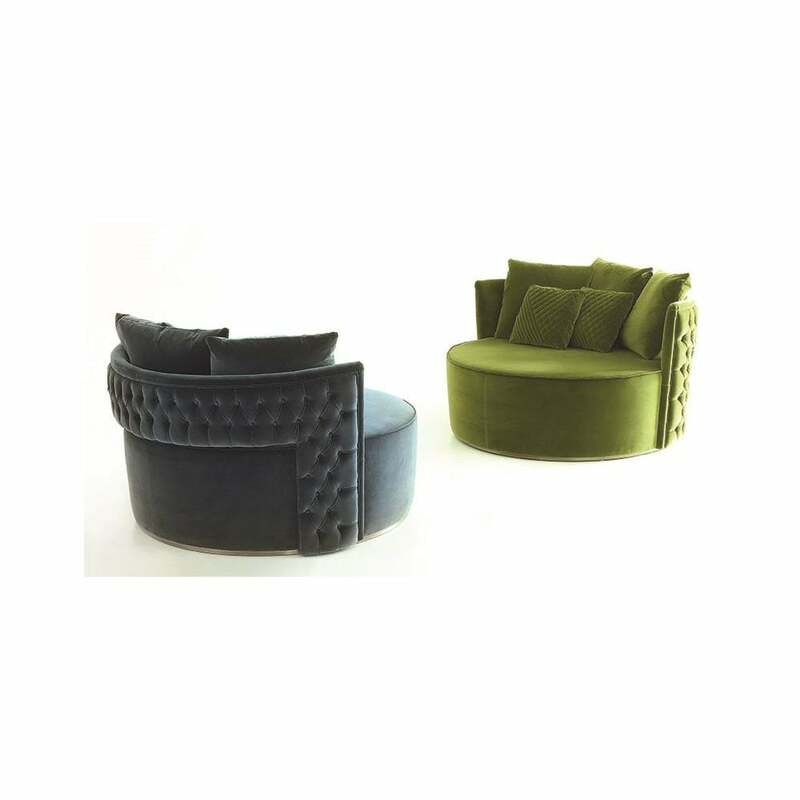 Retro style chair pouf from the Italian furniture collection by Rugiano Interiors. With a choice of smooth or capitonné upholstery, the Giotto Chair Pouf can be realised in a range of sophisticated colourways to suit your scheme. Ideal to position at a dressing room table or within a bedroom suite, the Giotto Chair Pouf is hand-crafted in the finest Tessuto fabric and Pelle leather. Finished with a glamorous steel or bronze base, Giotto is available in four versatile sizes. Samples are available upon request. Make an enquiry for more information.